Stars are often classified according to spectral type. Although they emit all colors of light, spectral classification considers only the peak of this emission as an indicator of the star's surface temperature. Using this system, blue stars are the hottest, and are called O-type. The coolest stars are red and are called M-type. In order of increasing temperature, the spectral classes are M (red), K (orange), G (yellow), F (yellow-white), A (white), B (blue-white), O (blue). This bland categorization is often abandoned for a more descriptive alternative. As the coolest stars (red) are invariably the smallest, they are called red dwarfs. Conversely, the hottest stars are often called blue giants. There are a number of physical characteristics that vary for each of the different types of star. 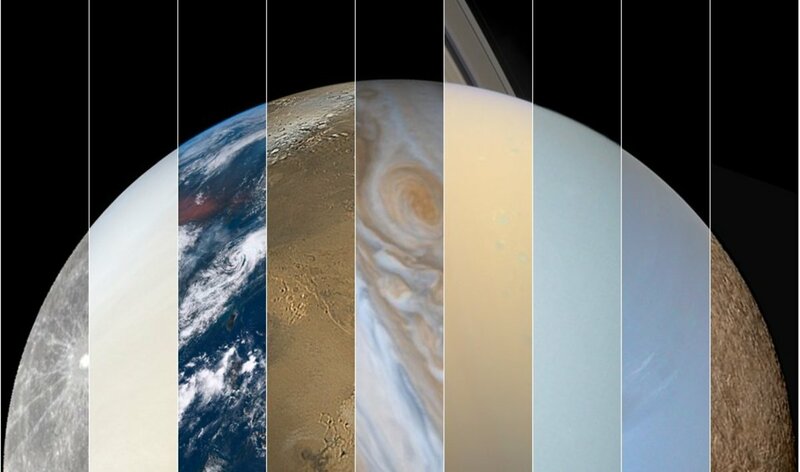 These include the surface temperature, luminosity (brightness), mass (weight), radius (size), lifetime, prevalence in the cosmos, and point in the stellar evolutionary cycle. When considering these physical features, the different kinds of star are usually compared with our nearest stellar companion, the Sun. The box to the right gives the solar values. To understand the scale, the notation, 1026 means the number has 26 zeroes after it. The types of star identified below will be described in terms of the Sun. For example, a mass of 2 means two solar masses. The Sun, Alpha Centauri A, and Kepler-22 are yellow dwarfs. These stellar cauldrons are in the prime of their lives because they are burning hydrogen fuel in their cores. This normal functioning places them on the `main sequence', where the majority of stars are found. The designation `yellow dwarf' may be imprecise, as these stars typically have a whiter color. However, they do appear yellow when observed through the Earth's atmosphere. 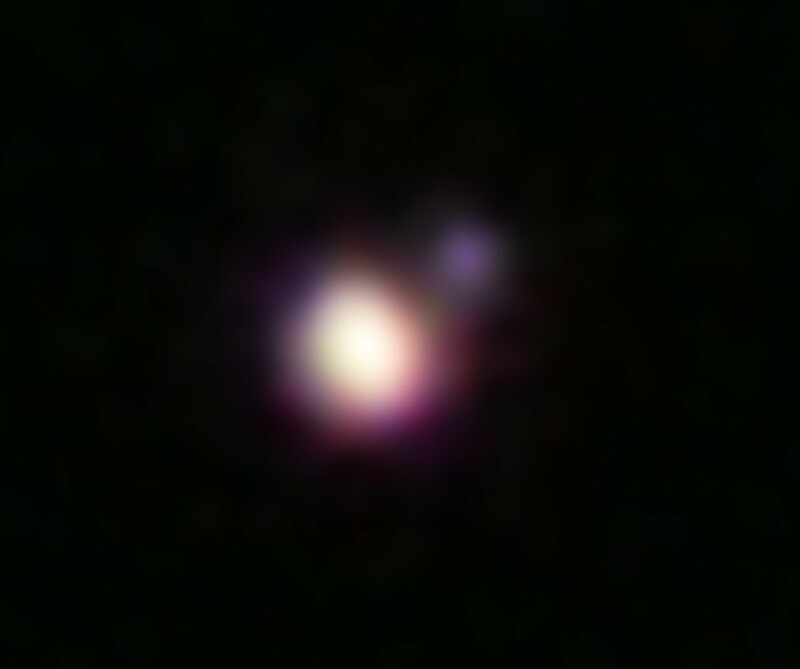 Alpha Centauri B and Epsilon Eridani are orange dwarf stars. These are smaller, cooler, and live longer than yellow dwarfs like our Sun. Like their larger counterparts, they are main sequence stars fusing hydrogen in their cores. Proxima Centauri, Barnard's Star and Gliese 581 are all red dwarfs. They are the smallest kind of main sequence star. Red dwarfs are barely hot enough to maintain the nuclear fusion reactions required to use their hydrogen fuel. However, they are the most common type of star, owing to their remarkably long lifetime that exceeds the current age of the universe (13.8 billion years). This is due to a slow rate of fusion, and an efficient circulation of hydrogen fuel via convective heat transport. 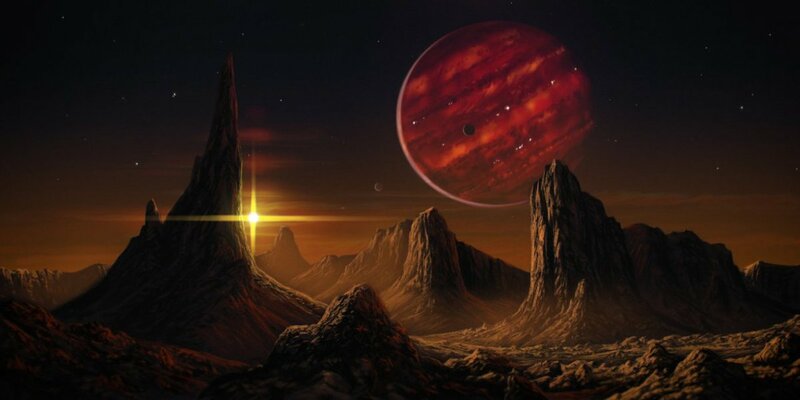 Brown dwarfs are substellar objects that never accumulated enough material to become stars. They are too small to generate the heat required for hydrogen fusion. Brown Dwarfs constitute the midpoint between the smallest red dwarf stars and massive planets like Jupiter. They are the same size as Jupiter, but to qualify as a brown dwarf, they must be at least 13 times heavier. Their cold exteriors emit radiation beyond the red region of the spectrum, and to the human observer they appear magenta rather than brown. As brown dwarfs gradually cool, they become difficult to identify, and it is unclear how many exist. 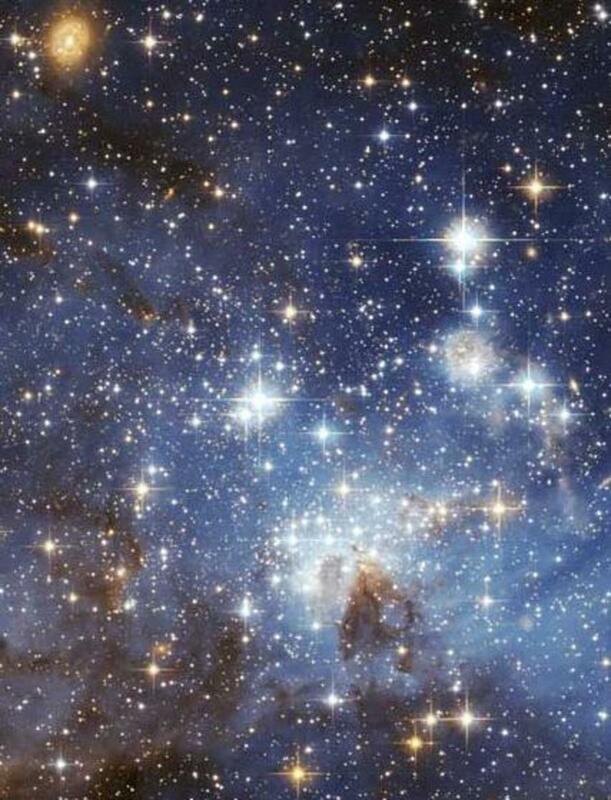 Blue giants are defined here as large stars with at least a slight blueish coloration, although definitions do vary. A broad definition has been chosen because only about 0.7% of stars fall into this category. Not all blue giants are main sequence stars. Indeed, the largest and hottest (O-type) burn through the hydrogen in their cores very quickly, causing their outer layers to expand and their luminosity to increase. Their high temperature means they remain blue for much of this expansion (e.g. Rigel), but eventually they may cool to become a red giant, supergiant or hypergiant. Blue supergiants above about 30 solar masses can begin throw off huge swathes of their outer layers, exposing a super hot and luminous core. These are called Wolf-Rayet stars. These massive stars are more likely to explode in a supernova before they can cool to reach a later evolutionary stage, such as a red supergiant. After a supernova, the stellar remnant becomes a neutron star or a black hole. 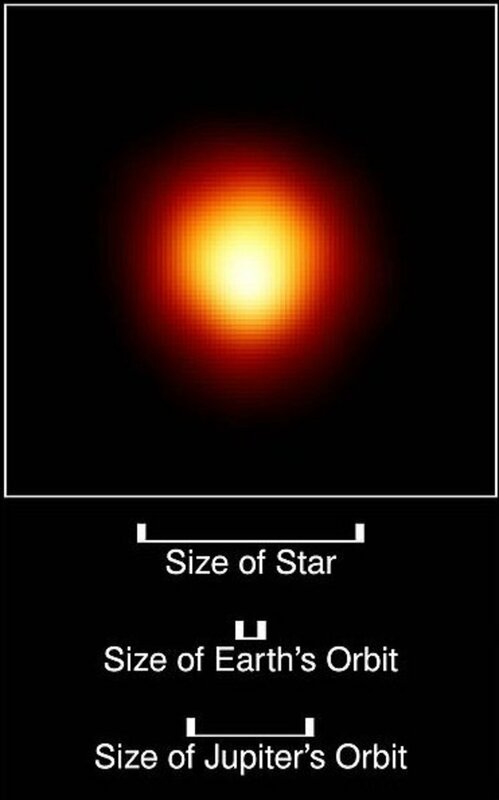 Aldebaran and Arcturus are red giants. 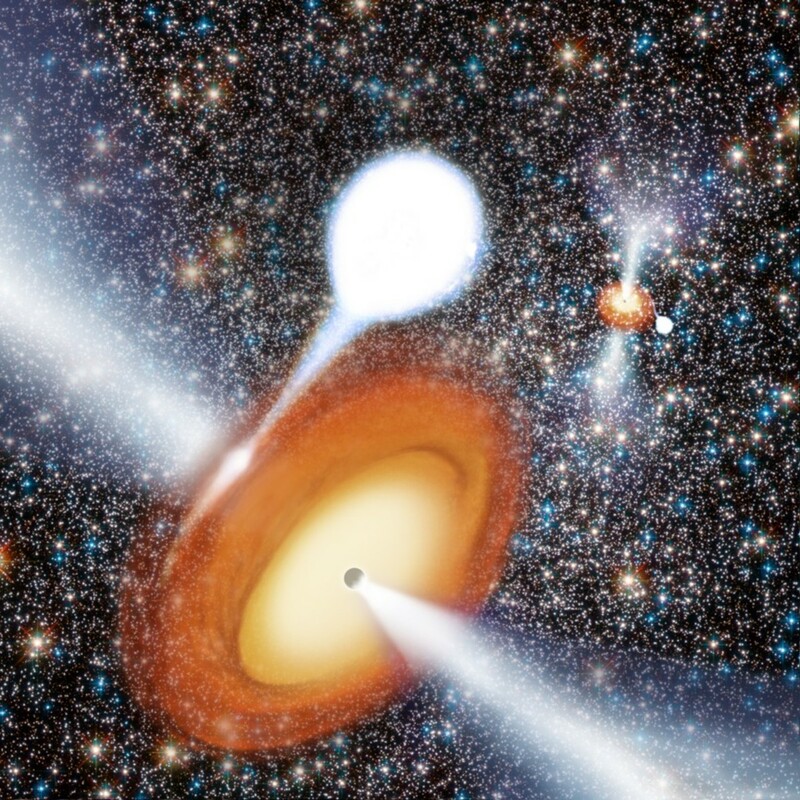 These stars are in a late evolutionary phase. Red giants would previously have been main sequence stars (such as the Sun) with between 0.3 and 10 solar masses. 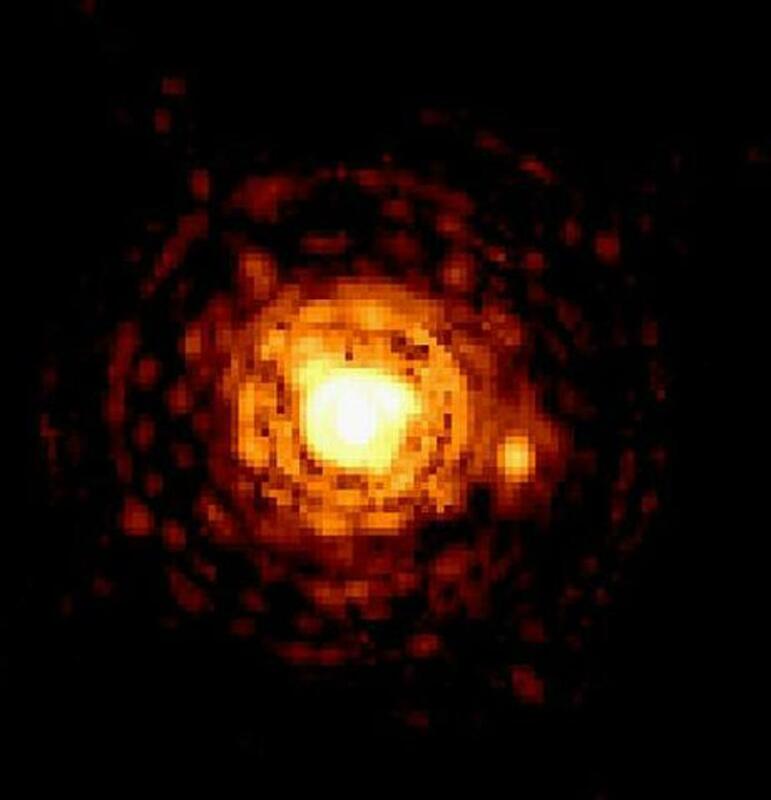 Smaller stars do not become red giants because, due to convective heat transport, their cores cannot become dense enough to generate the heat needed for expansion. Larger stars become red supergiants or hypergiants. In red giants, the accumulation of helium (from hydrogen fusion) causes a contraction of the core that raises the internal temperature. This triggers hydrogen fusion in the outer layers of the star, causing it to grow in size and luminosity. Due to a larger surface area, the surface temperature is actually lower (redder). They eventually eject their outer layers to form a planetary nebula, while the core becomes a white dwarf. 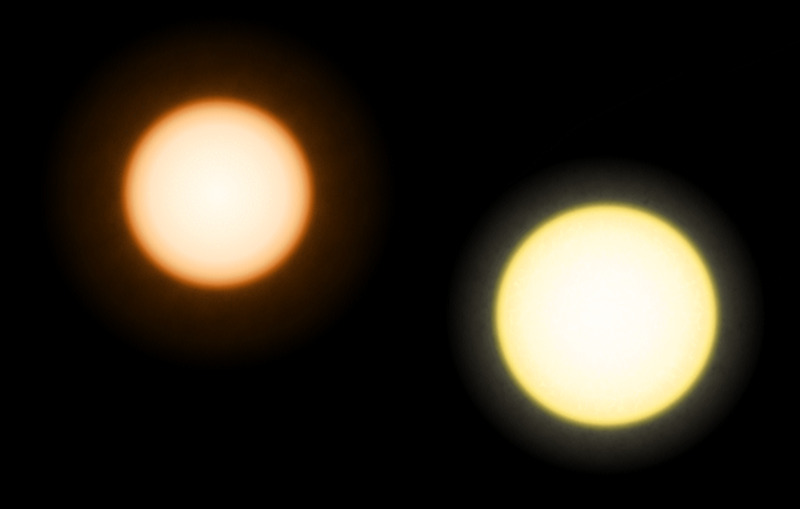 Betelgeuse and Antares are red supergiants. The largest of these types of stars are called red hypergiants. 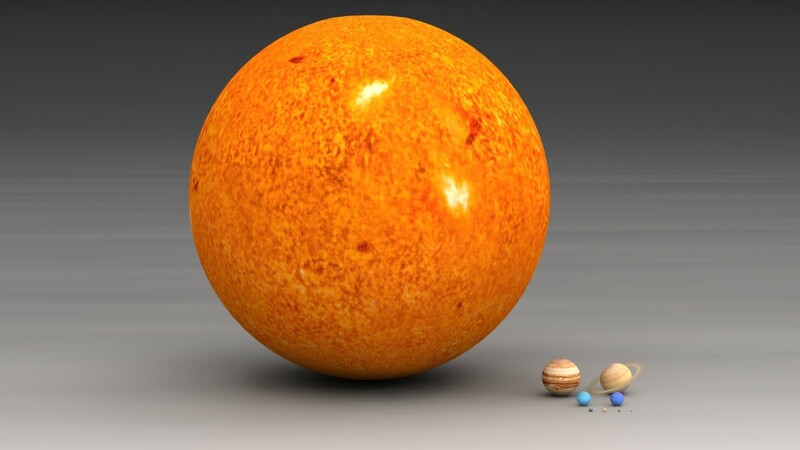 One of these is 1650 times the size of our Sun (NML Cygni), and is the largest known star in the universe. 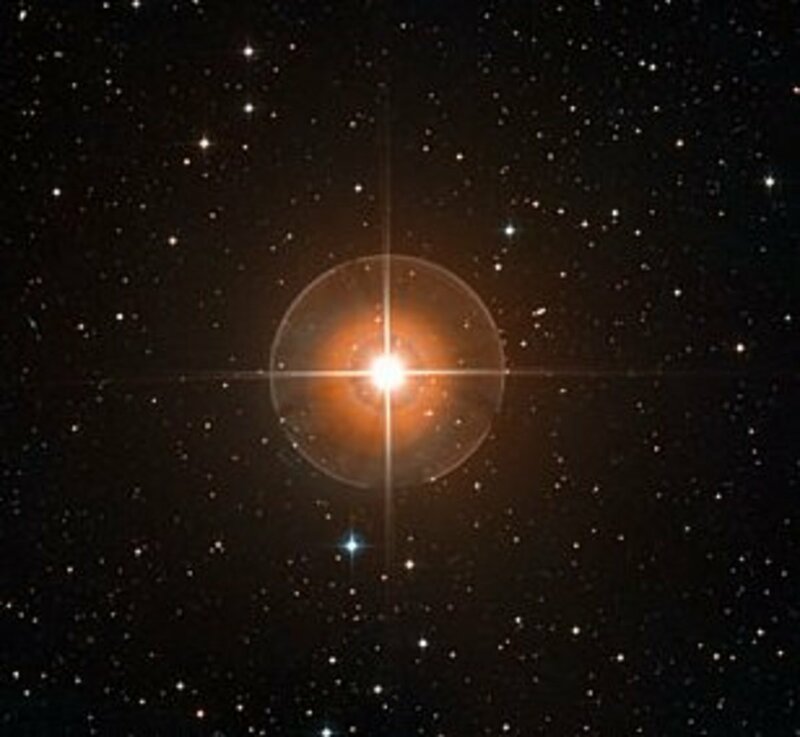 NML Cygni is 5,300 light years away from the Earth. Like red giants, these stars have swelled up due to the contraction of their cores, however, they typically evolve from blue giants and supergiants with between 10 and 40 solar masses. Higher mass stars shed their layers too quickly, becoming Wolf-Rayet stars, or exploding in supernovae. Red supergiants eventually destroy themselves in a supernova, leaving behind a neutron star or black hole. Stars less than 10 solar masses will shed their outer layers to form planetary nebulae. They will typically leave behind an Earth-sized core of less than 1.4 solar masses. This core will be so dense that the electrons within its volume will be prevented from occupying any smaller region of space (becoming degenerate). This physical law (Pauli's exclusion principle) prevents the stellar remnant from collapsing any further. 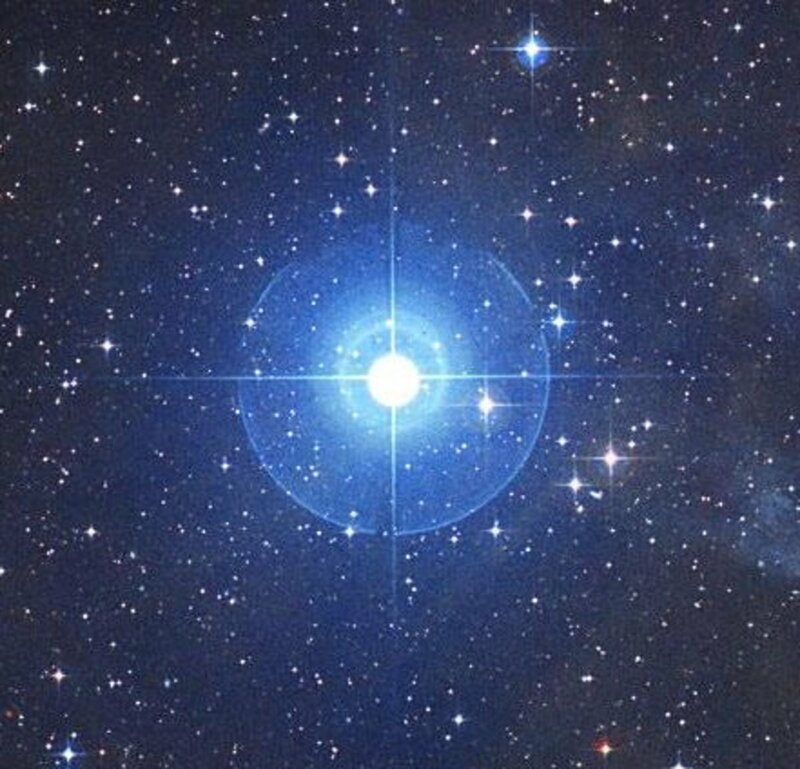 The remnant is called a white dwarf, and examples include Sirius B and Van Maanen's star. More than 97% of stars are theorized to become white dwarfs. These super hot structures will remain hot for trillions of years before cooling to become black dwarfs. 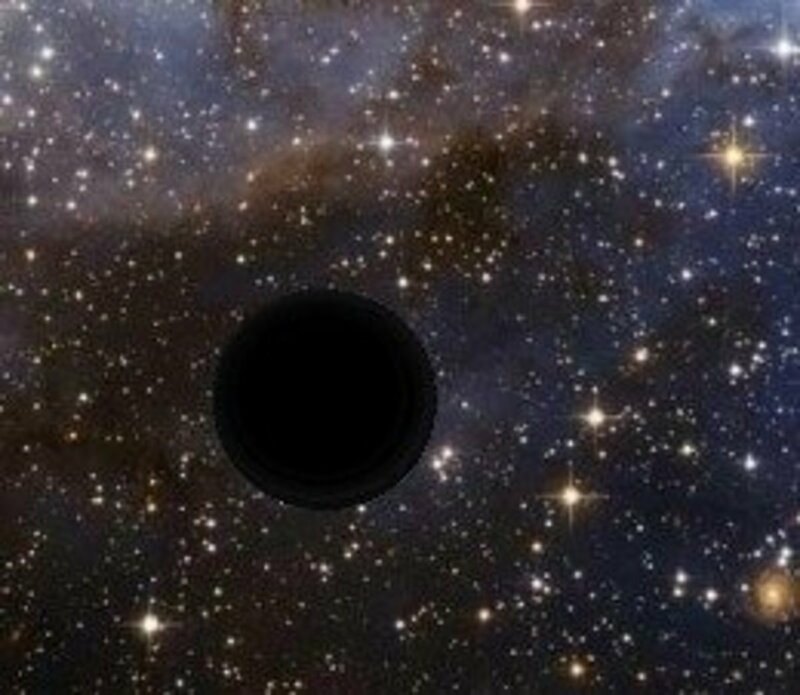 Artistic impression of how a black dwarf may appear against a backdrop of stars. Once a star has become a white dwarf, it will slowly cool to become a black dwarf. 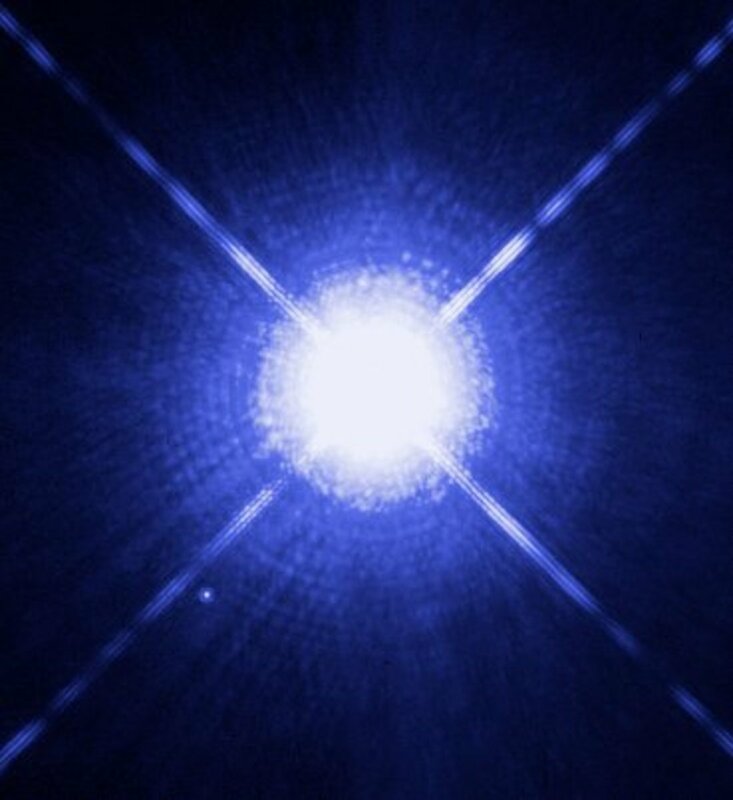 As the universe is not old enough for a white dwarf to have cooled sufficiently, no black dwarfs are thought to exist at this time. When stars larger than about 10 solar masses exhaust their fuel, their cores dramatically collapse to form neutron stars. If the core has a mass above 1.4 solar masses, electron degeneracy will be unable to halt the collapse. Instead, the electrons will fuse with protons to produce neutral particles called neutrons, which are compressed until they can no longer occupy a smaller space (becoming degenerate). The collapse throws off the outer layers of the star in a supernova explosion. The stellar remnant, composed almost entirely of neutrons, is so dense that it occupies a radius of about 12 km. 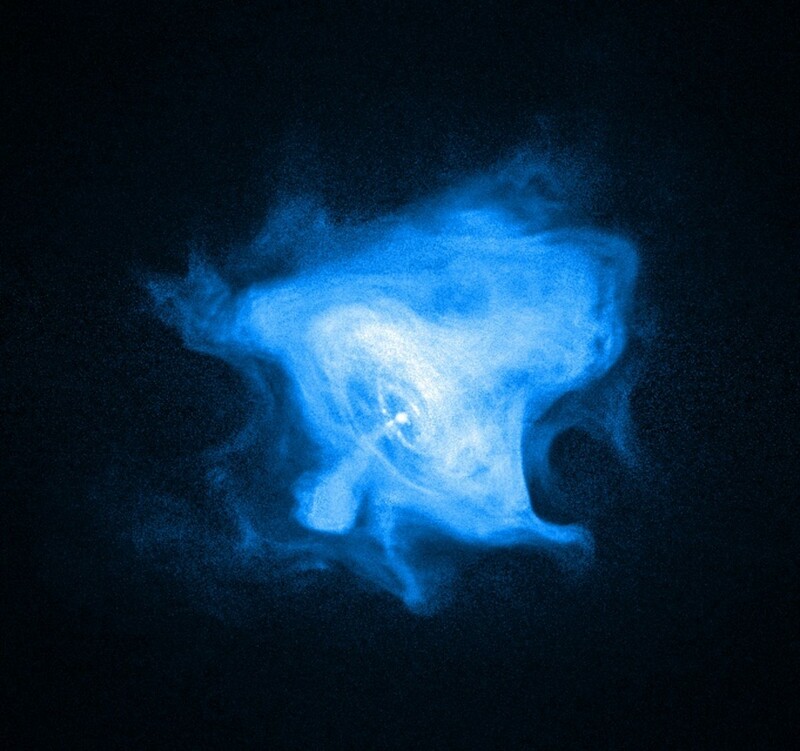 Due to conservation of angular momentum, neutron stars are often left in a rapidly rotating state called a pulsar. Stars larger than 40 solar masses with cores larger than about 2.5 solar masses are likely to become black holes instead of neutron stars. For a black hole to form, the density must become great enough to overcome neutron degeneracy, causing a collapse into a gravitational singularity. 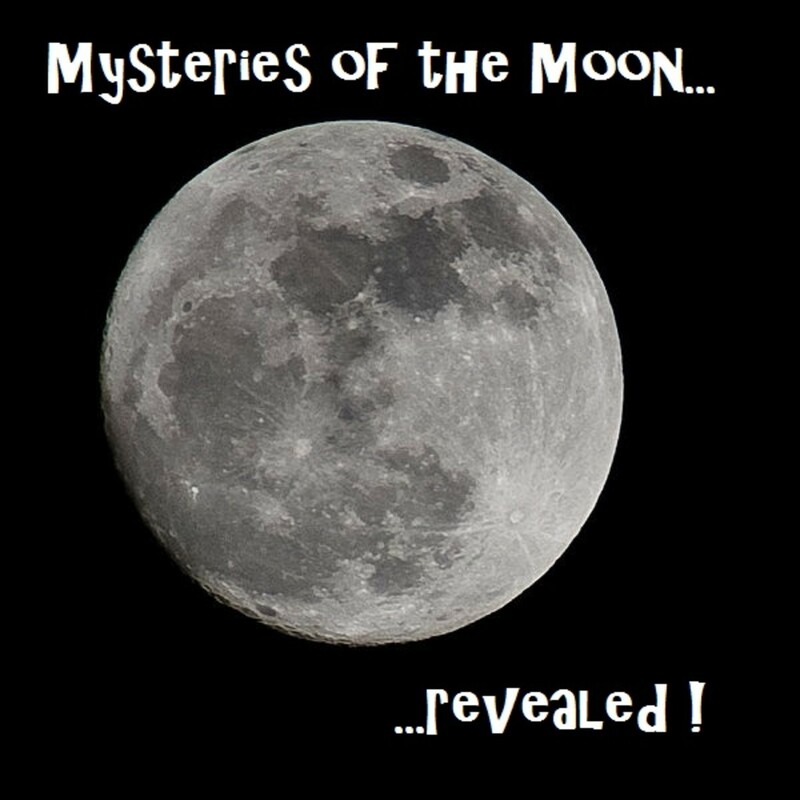 While stellar classification is more precisely described in terms of spectral type, this does very little to fire the imagination of those who will become the next generation of astrophysicists. 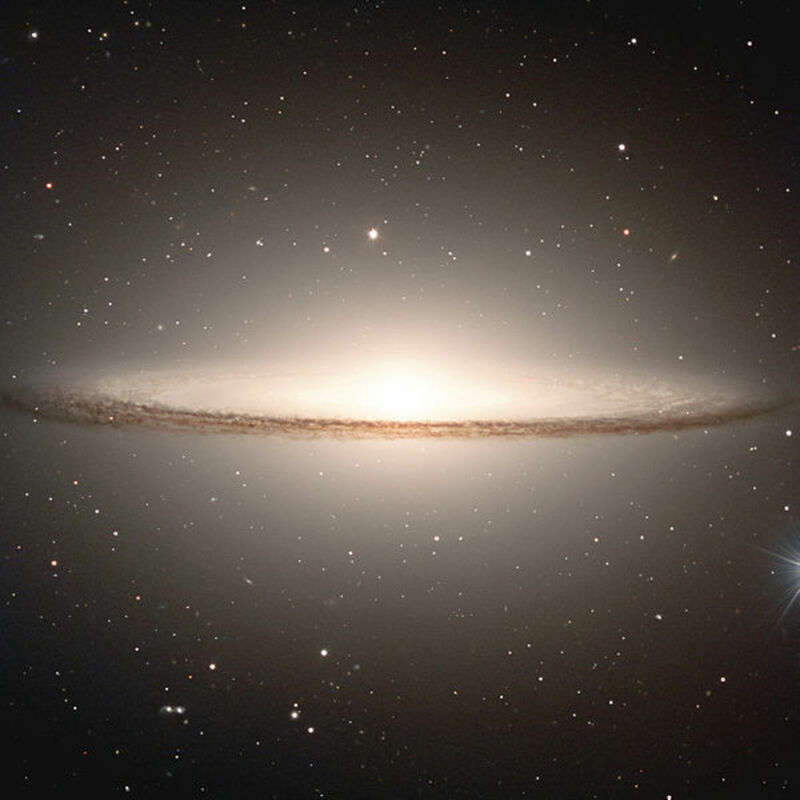 There are many different types of stars in the universe, and it's no surprise that those with the most exotic sounding names receive the greatest levels of attention. The best text ever. Got me a A+ for my information report! AWSM!!!! this is really good !!!!!! These information completely answered all my questions about stars, thanks alot. Hi Vic. To my knowledge, each star in a binary pair conforms with one of the types described here. And, Mercury-Manganese stars simply have an abundance of those elements in their atmospheres, but fit the profile of a blue giant by the (broad) definition given here. They still burn hydrogen and helium. What about binary stars? What about mercury magnesium stars burning other than hydrogen or helium. Dr. Swan hit it out of the park with this. I never really thought about why when I heard “if you weight a teaspoon of neutron stat on earth, it would be A LOT”. After this article, I have a picture painted in my head about why. Electron degeneracy is the culprit. Being unable to occupy smaller space. Duh when I say it tho. Great article!! Wow! !thanks for that very educational info !!! !it is a great help for me!!! very educational. This website really helps when it comes to learning about stars. Dude Great presentation and i will always support your presentation! Reading you Hub makes me want to go out and look at the stars tonight. I haven't taken my telescope outside in a while. Glad to be of help allyssa. Thanks m abdullah. Glad you liked it. You have nicely dealt with the details of the starts of our known galaxies. Thank you Thomas. Voted interesting up. Wow, so very cool to learn so much more about stars. Thanks for commenting Alliah. 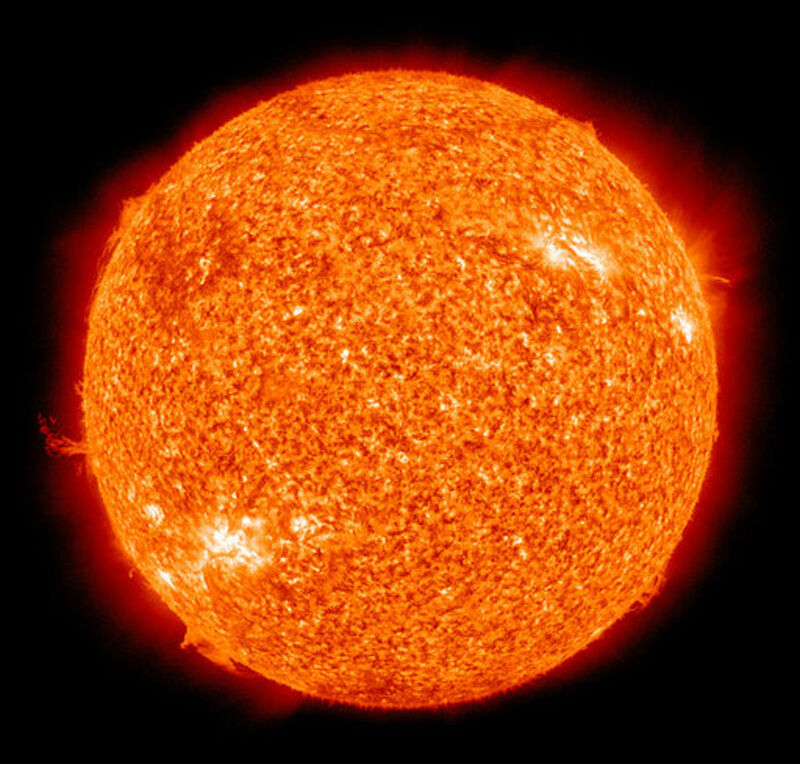 The Sun burns without oxygen because oxygen is only needed for chemical reactions in which bonds between atoms are formed. The Sun burns via nuclear reactions in which nuclear particles (protons and neutrons) and bonded together. The nuclear scale is smaller than the atomic scale (remember, each atom contains a nucleus). The nuclear scale doesn't need oxygen, but it does need very high temperatures and pressures, such as those found in stars. These are the most interesting, thing that I have ever read in my life. As of today, in the question .How does the sunburn with out oxygen? That's an interesting question. Would like to know why you've asked it before answering. If you've found a copy somewhere on the web, please let me know asap. Thanks for commenting lone77star. I suppose one could say that the most interesting planets are around the least interesting stars; so perhaps that is their consolation prize. I agree that in terms of chemical composition, the most interesting stars are the metal-rich, 2nd/3rd generation ones. I've never really been fascinated with the exotic types. I go in for the more ordinary, main sequence -- what I call "mid-dwarfs" (F2V - K2V). Especially, the ancient, metal-rich variety, where habitable planets might be found. Thanks for the kind words Rob! I think my fascination for this topic allowed me to finish because it's seemingly impossible to find all of this information in one place on the web. My astrophysics background helped, but I must have used about 20 different sources, and the whole article took two days to finish! I read science fiction too. In my opinion it's the genre that gives the greatest license for the human imagination to flourish. A most interesting and comprehensive hub Thomas. Great layout and presentation too. A stellar hub in every sense :-) Voting up & interesting. 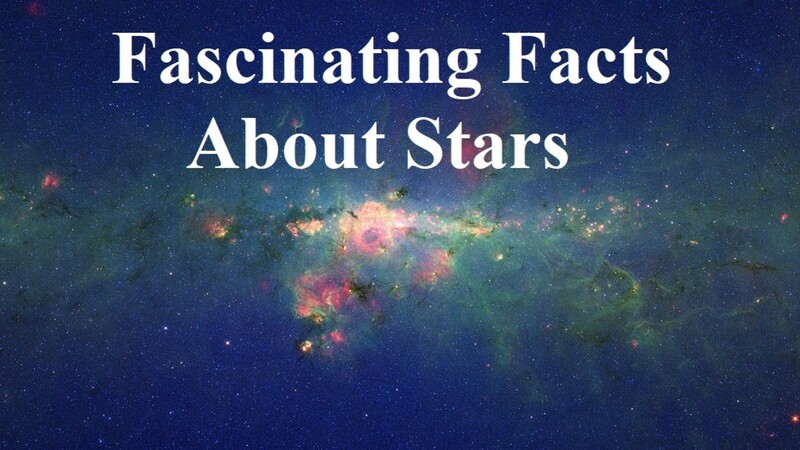 I read a lot of Science Fiction so i was familiar with a lot of the terminology and star types and found the details and breakdown of this subject matter most fascinating and informative.